Ubuntu 13.10 is available now, and it brings a few small improvements to the desktop Linux OS most notably a more comprehensive web search in the Dash called "Smart Scopes." It's also as Ubuntu Touch as the first stable release for phones. The desktop version doesn't have a ton of new features this time around because Ubuntu is focusing on phone development, said Ubuntu Community Manager Jono Bacon. Even though Ubuntu Touch is still pretty feature-bare and isn't intended for people to install on their own phones (although you can), they're putting a lot of energy toward that so the desktop hasn't gotten a ton of updates. Here's what you'll find in 13.10. 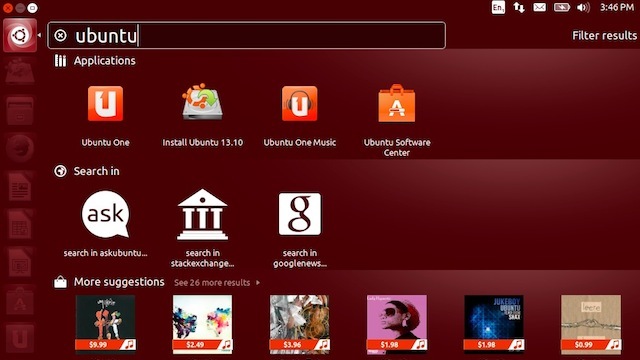 Remember in Ubuntu 12.10, when the Dash got those Amazon search results in the Dash? It was a little annoying, but that feature's blossomed into something arguably more useful with "Smart Scopes." 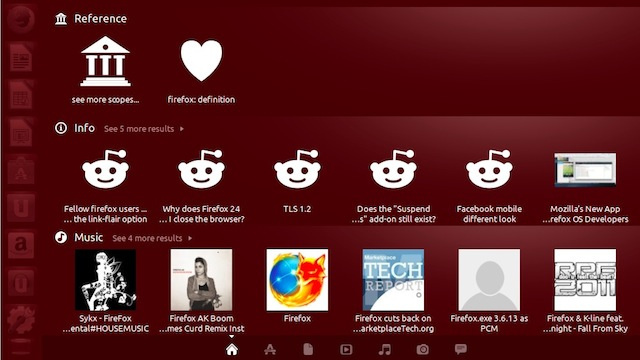 Smart Scopes adds search results for a ton of other web services like Wikipedia, Foursquare, Reddit, eBay, Ubuntu One Music, Grooveshark, and others, along with your normal app and file search results. It also "learns" with you as you click on things, so it'll serve you more relevant results. Of course, if you don't like this feature (and we don't blame you), you can turn off each scope individually or even uninstall them entirely (though this isn't recommended). 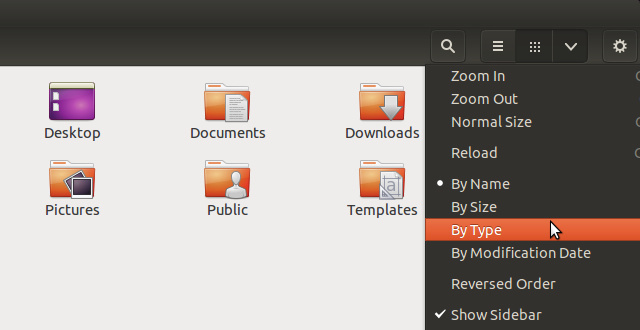 Ubuntu 13.10 contains some very minor interface changes, such as in the File Manager. You'll also get 18 new wallpapers and a new desktop background. Firefox is still the default browser in Ubuntu, following some debate about switching to Chromium. You'll also find updated versions of LibreOffice, Files, Disks, and Rhythmbox. Most of Canonical's energy has gone into the first stable release of Ubuntu Touch, also available today. It's officially available for most Nexus phones and tablets, and unofficially available for many others. 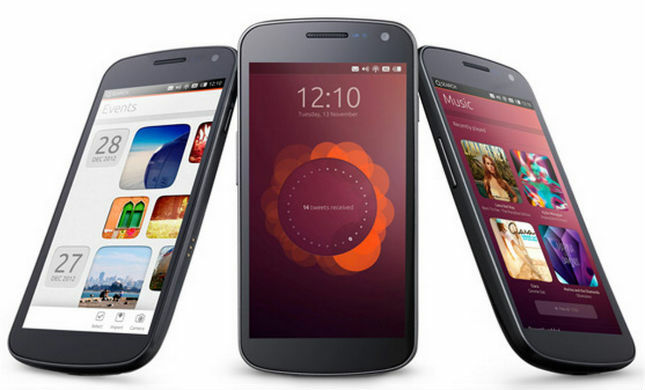 Ubuntu Touch may be stable, but it certainly isn't "finished." You have all the basic apps needed for a phone, like the dialer, a web browser, contacts, a camera and gallery, and even a social networking app, but a lot is still missing. The app store isn't yet available, and shortcuts to Facebook and Gmail just pull up the webapps in the browser. In short: it's usable, but it isn't exactly feature filled, and you probably wouldn't want to use it as your daily driver just yet. The OS is fairly cool, though. You swipe on the edges of the phone to bring up the app launcher, visit your home screen, multitask, and view menus instead of hardware buttons. The home screen is a bit different than what you see on iOS and Android, showing your open apps along the top and your shortcuts on the bottom. Check out the video above for a demo from June that shows off some of how it works. Like we mentioned earlier, it isn't really designed for end users at this point it's more for carriers and manufacturers but if you want to check it out, you can install it on your phone using these instructions. Beware, it'll wipe everything on your phone, possibly including your backups and SD card, so back everything up to your PC first just in case. You may also be able to find flashable ZIP files on sites like XDA Developers for your specific phone, though you'll have to do a bit of searching around. Overall, Ubuntu 13.10 both on the desktop and on mobile is more of a preview of things to come rather than a big update you'll want to rush out and get. Unity 8 is on the way next year, along with a new display server called Mir, and hopefully a more mature version of Ubuntu Touch. Until then, these updates will have to hold you over.